Under 12s young gun, Tyler Crudeli set the tone for the weekend making a record-breaking 119n.o. to record the first U12s hundred for Kwinana and the Peel Association. Kwinana’s 4th grade followed Tyler’s lead and continued their resurgence as the one-day grades struggle to find consistency. 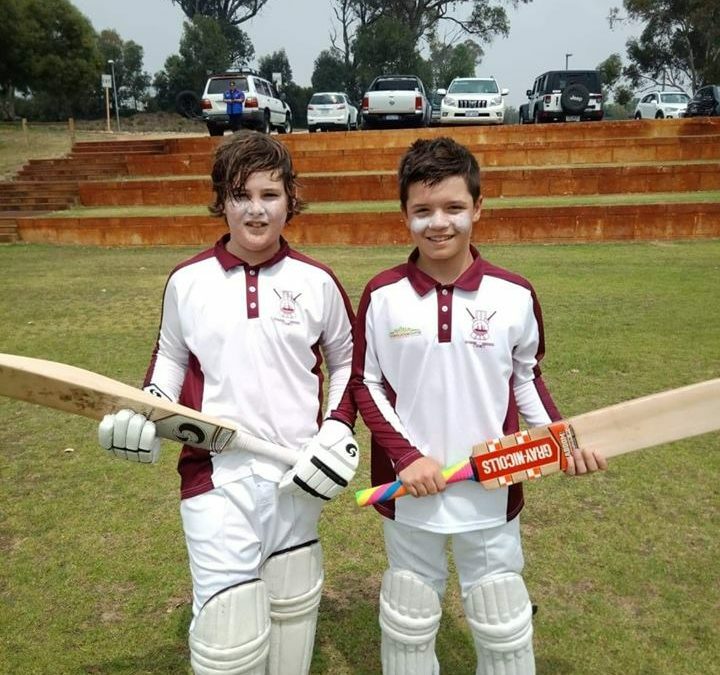 4th Grade put in the best performance for the seniors after being sent into bat by Riverton-Rostrata in their first home game in six weeks. They made the worst possible start and found themselves in trouble at 8-76 before Jon Cribbs (58), and Dion Cole-Parkhill (29n.o) rescued the innings making sure Kwinana finished the innings on a respectable total of 148. Kwinana’s bowlers came out looking for early wickets and wreaked havoc on Riverton-Rostrata’s batsmen. Andrew Gibbs (4-5) and Mark James (4-10) combined to roll the opposition for 46 to claim a first innings victory with a day to play and a 102 run lead. 2nd grade fielded first in their match against Riverton-Rostrata at Riverton Reserve. Kwinana started well having the score at 4-58, but late-order partnerships pushed the total to 180 leaving Kwinana with a tricky run chase on day two. One-Day Bs had a tough day against Piara Waters despite taking a wicket off the first bowl of the match after being put into the field. Kwinana’s bowlers took regular wickets but leaked boundaries and late order hitting took the game away from Kwinana and saw Piara Waters reach 9-235. Kwinana never got going with the bat being bowled out for 90. One-Day Gs played a home game against Piara Waters and had similar struggles in the field. The bowlers couldn’t find wickets as Piara Waters posted 4-180. Kwinana started the run chase well thanks to openers David Abbott (28) and Blake Newton (30), but a middle order collapse of 4-5 saw Kwinana falter and fall short bowled out for 151.